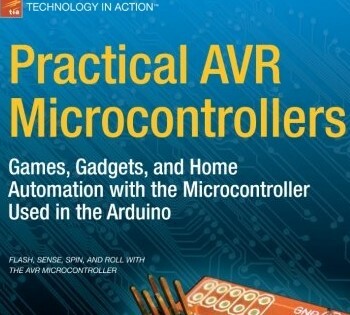 To explain the internal organization and working of Computers, microcontrollers and embedded processors. Compare and contrast the various members of the 8051 family. To explain the registers of the 8051 microcontroller, manipulation of data using registers and MOV instructions. To explain loop, conditional and unconditional jump and call, handling and manipulation of I/O instructions. To explain different addressing modes of 8051, arithmetic, logic instructions, and programs. To explain develop 8051C programsfor time delay, I/O operations, I/O bit manipulation ,logic, arithmetic operations and data conversion. L2 – Understanding, L3 – Applying,L4 – Analysing, L5 – Evaluating. 8051 serial port programming in assembly and C: Basics of serial communication, 8051 connection to RS232, 8051 serial port programming in assembly, serial port programming in 8051 C. 8051 Interrupt programming in assembly and C: 8051 interrupts, Programming timer, external hardware, serial communication interrupt, Interrupt priority in 8051/52, Interrupt programming in C.
Interfacing: LCD interfacing, Keyboard interfacing. ADC, DAC and sensor interfacing: ADC 0808 interfacing to 8051, Serial ADC Max1112 ADC interfacing to 8051, DAC interfacing, Sensor interfacing and signal conditioning. Revised Bloom’s Taxonomy Level L1 – Remembering, L2 – Understanding, L3 – Applying, L4 – Analysing. Discuss the history of the 8051 and features of other 8051 family members andthe internal architecture of the 8051. Explains the use of an 8051 assembler, the stack and the flag register, loop, jump, and call instructions. Discuss 8051 addressing modes, accessing data and I/O port programming, arithmetic, logic instructions, and programs. Discuss the hardware connection of the 8051 chip, its timers, serial data communication and its interfacing of 8051to the RS232.  Discuss in detail 8051 interrupts and writing interrupt handler programs. Interface 8051 with real-world devices such as LCDs and keyboards, ADC, DAC chips and sensors. Interface 8031/51 with external memories, 8255 chip to add ports and relays, optisolators and motors. · The question paper will have ten full questions carrying equal marks.Each full question consisting of 16 marks. · There will be two full questions (with a maximum of four sub questions) from each module.  Each full question will have sub question covering all the topics under a module. · The students will have to answer five full questions, selecting one full question from each module. Muhammad Ali Mazadi Pearson 2nd Edition, 2008.